In a move that is sure to make Australian pay TV and streaming services happy, the Federal Court has ruled that internet service providers (ISPs) are required to block a number of popular copyright-infringing websites — and they have to do so before January 9, 2017. 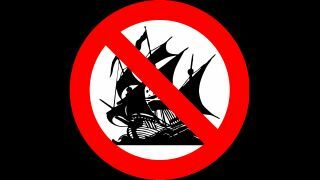 At the top of the hit-list is well known torrent site The Pirate Bay, and sitting guilty alongside it is TorrentHound, IsoHunt, Torrentz and SolarMovie, the first four being targeted by pay TV powerhouse Foxtel and the last brought to the court’s attention by Australian media company Village Roadshow. The ISPs are tasked with taking “reasonable steps to disable access” to the offending sites, but the particular method of blocking isn’t specified. There will be a warning page for people who continue trying to visit these sites, however no penalty for doing so has been discussed. The onus of paying for any site blocking and maintenance has been ruled to fall on the rights-holders themselves, with the ISP’s cost estimates ranging from $1,500 to $12,500. It’s evident that the ruling isn’t a rolling injunction, meaning that if any new websites were to be added to the judgement, they would need to be separately filed by either Foxtel or Village Roadshow. Regardless of how successful this particular blocking attempt may be, the ruling is a step towards an anti-piracy environment in Australia that could lead to further legislation down the line. Foxtel chief-executive Peter Tonagh saw this judgement as a ”major step in both directly combating piracy and educating the public that accessing content through these sites is not OK, in fact it is theft”.